You know it, we know it, everyone knows it – social media press is instrumental in marketing your event. With more than 800 million active Instagram users, this social media platform comes second only to Facebook. We don’t blame you for trying to make your event more instagrammable! Here’s how you can get press from your very guests: Get rid of the classic step and repeat A step and repeat is a banner with your logo printed repeatedly all over it. Traditionally, it has been used to serve as a background for guests to take pictures. Get rid of that boring old step and repeat and bring in a more aesthetic and lively one for a refreshing change – and of course to make it more instagrammable. Perhaps drape it with some lush greenery and flowers that compliment your logo. You could also get creative and add in some elements. 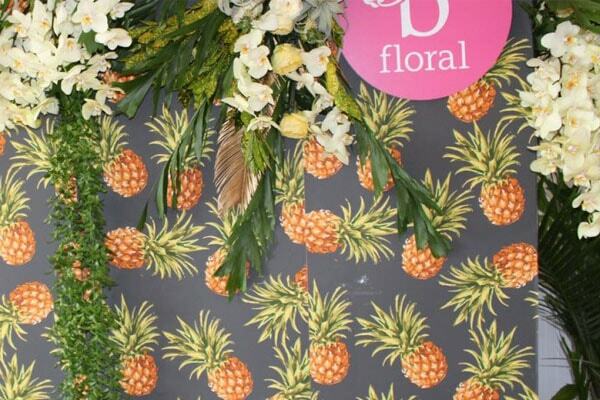 Bring in the floral walls Bored of step and repeat? Throw it out and replace it with a floral wall. You won’t regret the decision, we promise. A floral wall is not just for brides and weddings. You can utilize it for your event too. For instance, a floral wall with a moss base decorated tastefully with flowers, and your logo standing proudly in the middle would be excellent for social media press purpose. It will serve as a pretty backdrop encouraging guests to snap selfies. In these pictures, your brand will be visible. Great press, we say! Get your floral wall today from FloralEssenceFlowerWall.com.au. Create a beautiful corner As a rendition of the previous idea, you could perhaps play it subtle by installing a booth or a corner specially for taking pictures. Decorate it sublimely with elements that appeal to the entire theme of the event and your business. You might be wondering how a photo booth will market your event. To answer this question, put yourself in the guests’ shoes. If the booth you install is beautiful and picturesque, your guests will be inclined to take pictures and put it on their Instagram. In doing so, they would also want to tell others it was event XYZ (your event) where they took such a gorgeous picture. Without even having to display your logo you will get press. Props and accessories Further, encourage your guests to take a picture by providing fun and unique props. Make them relevant to your brand with subtle hints. We can bet your event will be a hoot and make people wish they were there!